Surprising news came at the start of the year upon learning I was named a finalist for the 2014 Eckerd Children’s Hero Of The Year Award — Talent Category. Another surprise came when I arrived at the black-tie awards gala and learned Eric Law, a fellow member of New Generation of African American Philanthropists was a finalist, too. In fact Eric, executive director of Hands On Charlotte, was named the award winner that night. Other winners included Brendan Haywood of the Charlotte Bobcats (Treasure Category) and Kelly and Thomas Davis of the Carolina Panthers (Time Category). I’m thankful to Eckerd for recognizing doers and givers in our community and more importantly for supporting children and families needing second chances. Below is a link to more information on the important mission and impact of Eckerd. Eckerd | The First Name in Second Chances. Last week, as a guest blogger, I posted a written piece on Collective Influence, the Community Investment Network (CIN) blog. 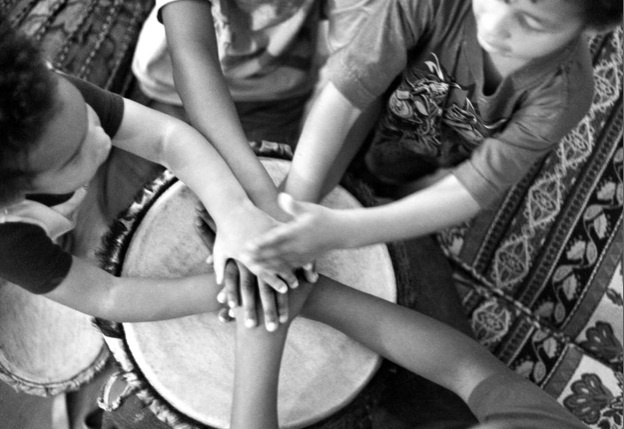 CIN is a national network of donors and giving circles and its mission is to inspire, connect and strengthen African Americans and communities of color to leverage their collective resources and create the change they wish to see. 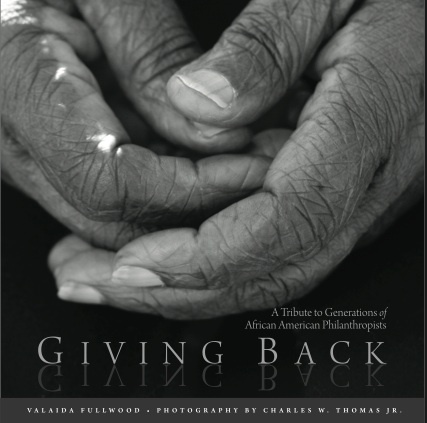 My giving circle New Generation of African American Philanthropists is a member of CIN, and my experiences within the Network were instrumental in the development of Giving Back. I’ve posted the CIN blog piece here for followers of my blog. It’s titled “A Confluence of Influence,” because that is precisely what has swept the Giving Back Project into a whirlpool of exciting possibilities. More on the awards program a little later…first, I’d like to say that you never know what life has up her sleeve. Until it’s revealed, the best we can do is to stay purposeful, pursue our passions and prepare for the twists and turns that come our way. An interview about Giving Back posted on QCityMetro.com today. It’s my interview with Michaela Duckett, who frequently profiles authors on what is one of Charlotte’s most popular blogs. Among other things, Michaela reveals five things about me. Most of them were probably little-known facts and trivia…that is, until today. It’s been a long journey, covering a lot ground. But it wasn’t traveled alone…and it ain’t over yet. Every day on the way to the October release of Giving Back presents a rugged trail of things to do—marked by steep learning curves, nerve-wracking ledges, inevitable road blocks and surprise mountaintop highs. Stretches traveled with companions bring welcomed relief. Joining my sometimes lonesome walk are my family and friends and unexpected folks who brighten my spirits and share the load. Encounters with kind encouragers replenish my often-dry canteen with optimism. “Seizing the day” the other night with Michelle, Kathryn and Katie…and Emeril…did just that! Pushing through the longest hauls, like now for instance, are a little less daunting when I recognize I’m not alone. 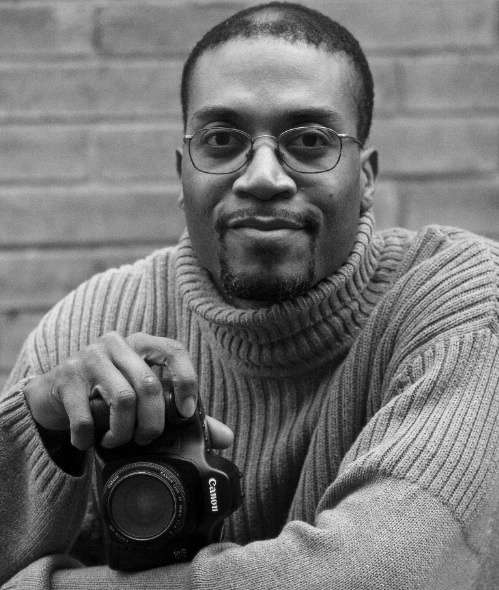 It’s a comfort knowing at arm’s reach are circle members from New Generation of African American Philanthropists, the project’s photographer Charles Thomas and Dimeji Onafuwa and India Simpson of Casajulie. Without them, this trekker would have headed home 40-some months ago. Over the past week, I’ve begun receiving “advance commentary” on Giving Back. Selected readers of prominence, from across the country, have been more than generous with praise of the book’s stories and photography, and their affirmation means the world to me. For more than four years, I was burrowed deeply in a writer’s hole and afflicted with a brutal case of tunnel vision in order to make this book happen. Making it happen meant not only generating the book’s content but also raising considerable funds and navigating the publishing industry, all of which were foreign to me. Nevertheless, nothing could keep me from where my sights were cast. With remarkable clarity from the start, my mind’s eye held tight a vision that only sharpened over time. Though the vision was clear, the path was uncertain…really uncertain and seemingly treacherous at times. Trusting a gut sense while feeling my way through the dark and benefiting from gracious gestures made by Charles, family, friends and giving circle members helped move the book project forward. After following a path that has tested every ounce of my soul and being, I’m sent higher than the sky to find that Giving Back can withstand the brightness outside the burrow and, in fact, shows best in the light of the wider world. When readers tell me they’ve seen, felt, thought and learned the things I long hoped someone…anyone…would, then it seems the years, the sacrifices and the times being misunderstood have been worth it. A soup kitchen? The morning my mother called with news that a great-aunt had begun organizing free daily meals in a fragile part of town is as vivid to me today as it was nearly twenty years ago. Expectations of service are handed down like heirlooms in my family, and Aunt Dora figured prominently in a long line of givers. Even so, I had never imagined such a bold move or demanding commitment from my grandmother’s reserved younger sister. Widowed and seventy-something at the time, Aunt Dora had selflessly looked after people her entire life as a mother, grandmother, foster mother, den mother and church pastor. I was at a loss as to why she was launching a community food program on the heels of her retirement from the church. Hadn’t she given enough? Wasn’t it time to pull back? To the contrary: It was precisely at this point she sought to commit herself anew. I later learned it was in meditation during a silent spiritual retreat that Aunt Dora received the answer to her quest. “Feed the hungry” was her directive, and she founded Our Daily Bread Kitchen Inc. Since that day the kitchen has flourished and now serves free meals to over ten thousand people a year. Aunt Dora’s ongoing, obedient responses—constructing a larger, new facility and preparing meals, still, as she nears ninety—have removed any of my questions about the ceaseless bounty of service for fortunate heirs.